An Introduction to the Theatre | Are You Zhazha? “Can we watch all the plays?” A wide-eyed and entertained Nia asked me after the curtain closed on the first play she ever watched. It really was the perfect play for her to call her first. She was reading The Best Christmas Pageant Ever in class last week and this weekend our community theatre was performing the play of it. 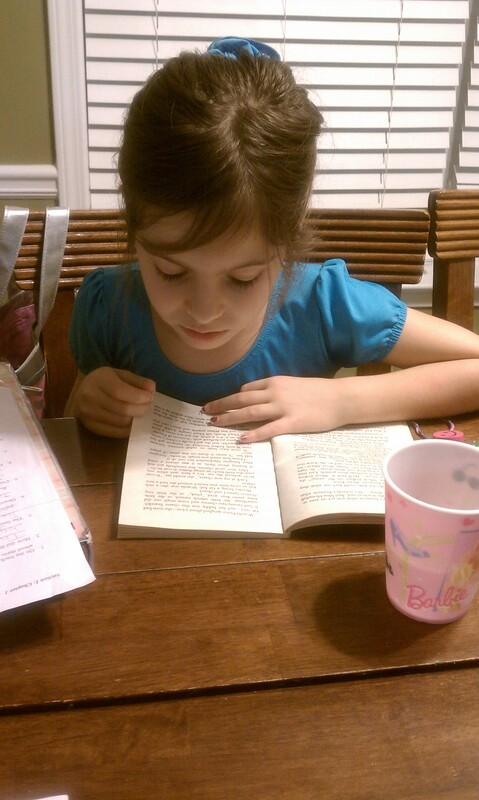 She was enjoying the book and reading us excerpts so I knew the performance would be wonderful for her. It was perfect because it had so many young actors – even a few who Nia knew – so that kept her really interested. 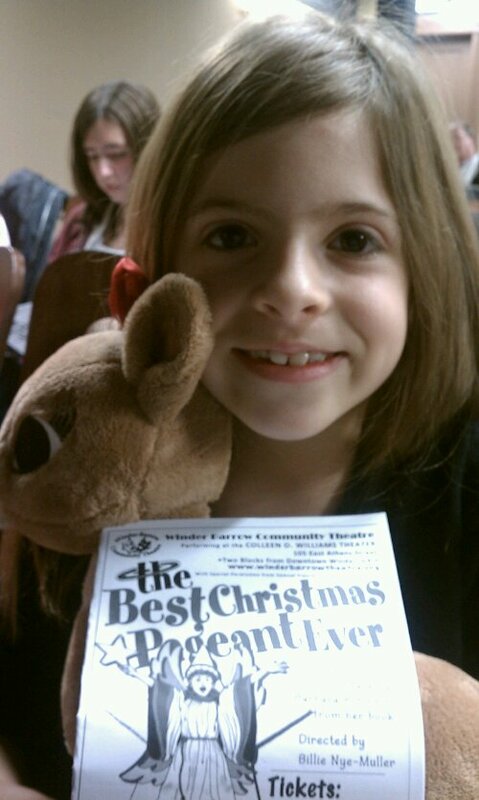 She was happy to have her beloved reindeer doll to sit with her through the show too. I was happy that I didn’t have to pay for a ticket for Clarice. (The tickets were a great price though, $5 for children and $10 for adults. Some of that money even goes to varying charities.) On top of all the specialness, Nia also got to enjoy refreshments after the show. 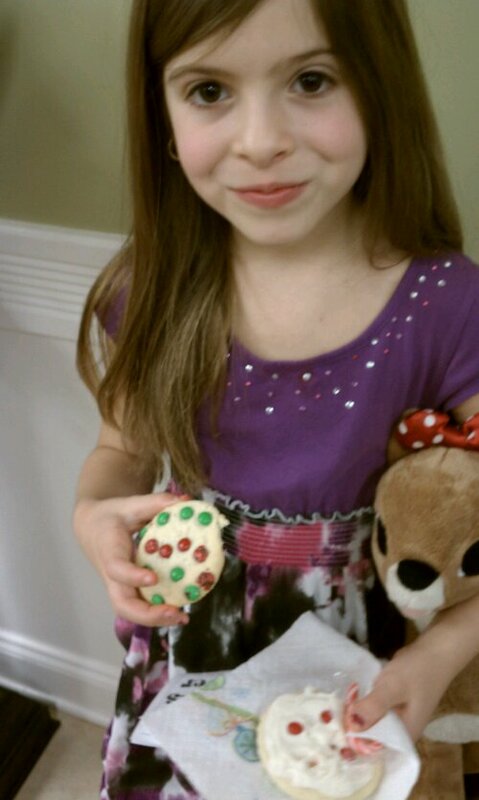 Festive cookies and a candy cane. I love the question she gave me as we walked back to the car, almost finished with both cookies, “Aren’t refreshments usually meat and cheese and crackers?” Not a complaint, just a little girl trying to figure out her world. Excited for the show to start. The sweetness of it all made me tear up. 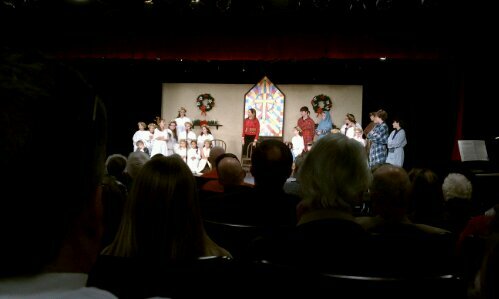 The carols at the end of the play really did me in. Luckily, Nia was there to hug my arm and distract me with her forward thinking. Can we watch all the plays? 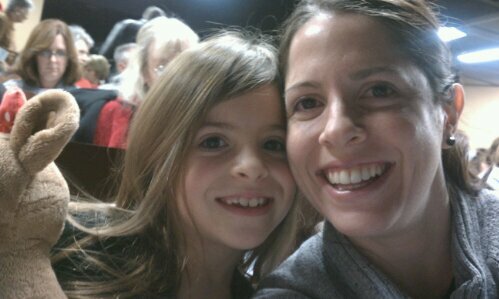 I promise to take her to as many kid-appropriate ones that our schedule allows. First of all, I completely love everything about this post. I loved that book when I was little and was so glad when Megan discovered it too. And looking at the picture of you 2 makes me happy. Thank you! That is so wonderful you are going to see Cats! How fun! Very special birthday present.